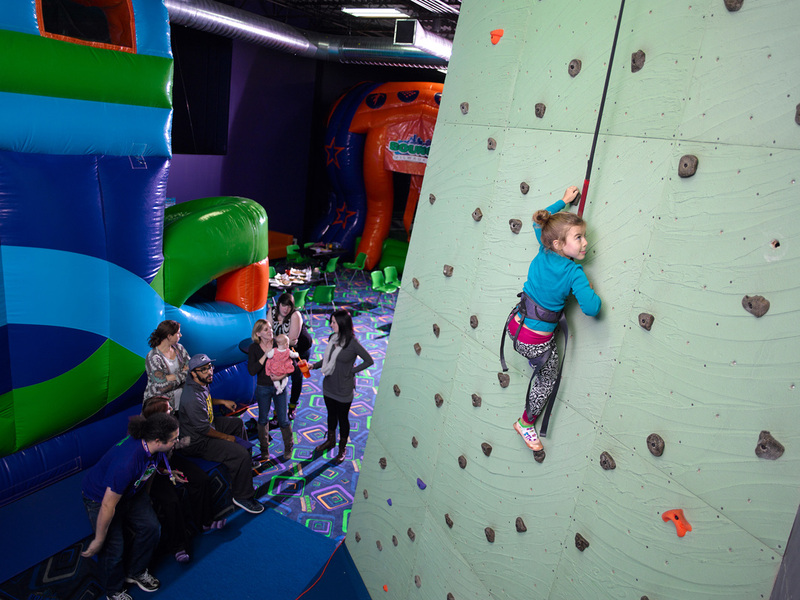 With routes ranging from child-friendly to extremely challenging, Bounce Milwaukee's custom-designed rock climbing walls are paired with TruBlue autobelays for an experience as safe as it is confidence-boosting. 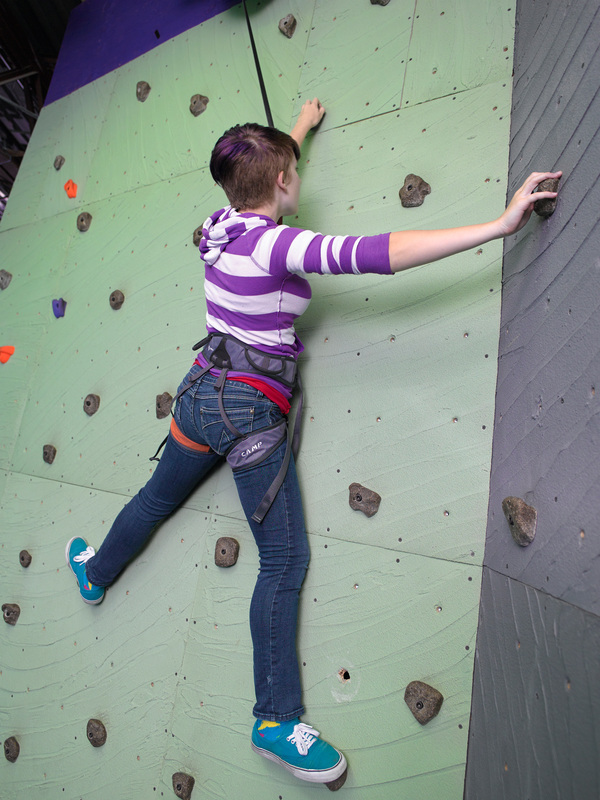 No previous climbing experience is needed, and we have no minimum age requirements - just ask one of our hosts to help you get started. 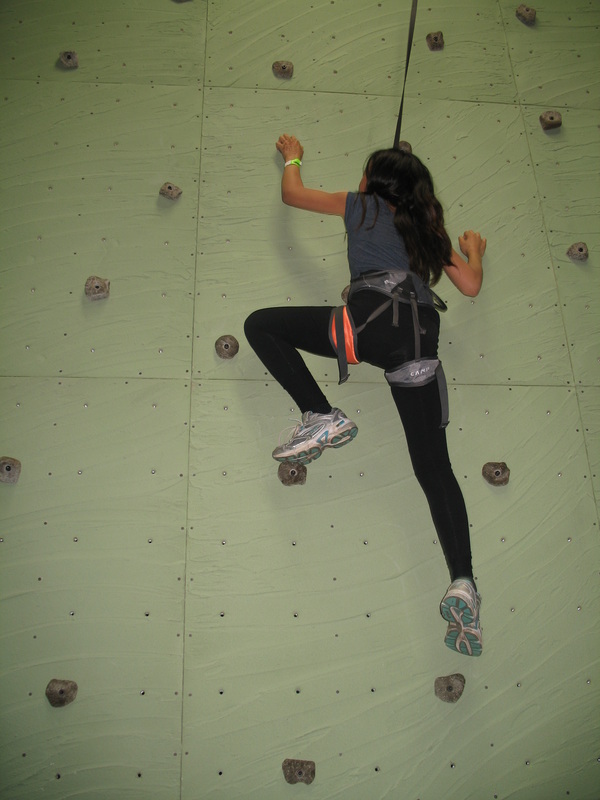 It's included with your Everything or party wristbands, or you can purchase individual climbing time. 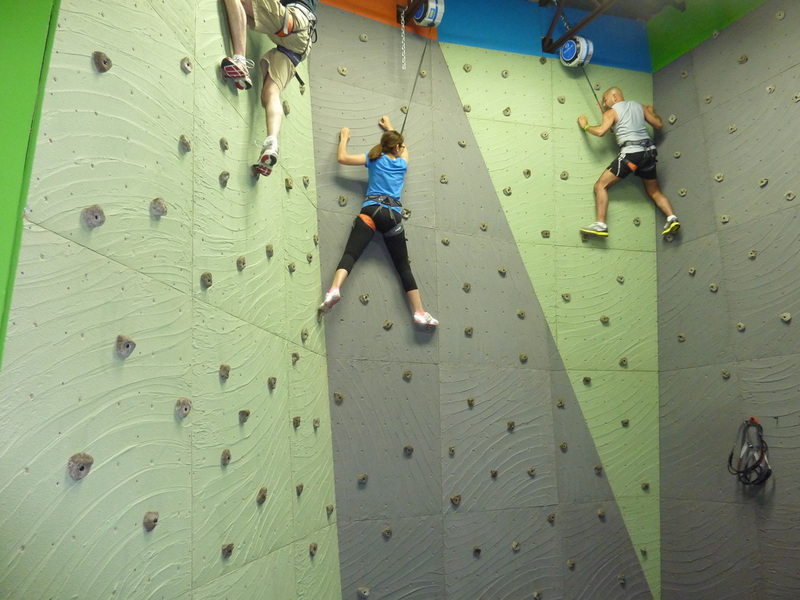 Younger guests who need to develop some confidence or skills before taking on the big wall can also take on the smaller climbing structure on the Moebius, located right next to the climbing wall. 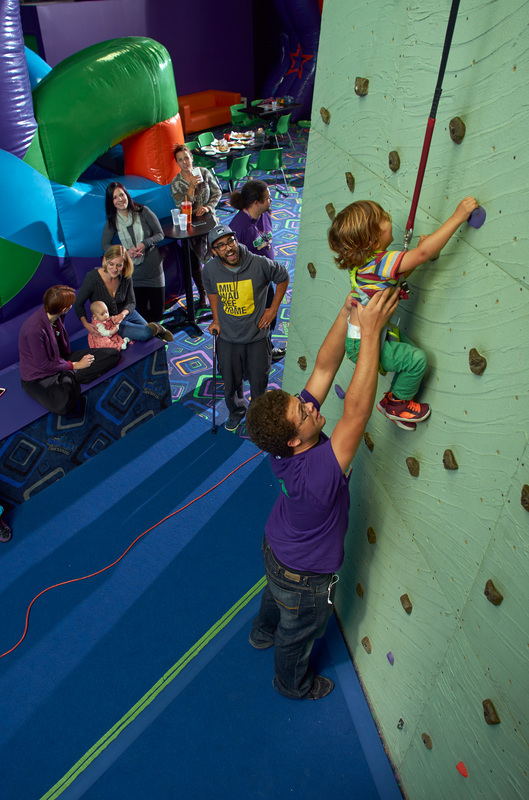 It's a great way to introduce children to climbing!